These are examples of custom portraits I have painted for customers in the past. All of my portraits are digitally hand-painted in Photoshop and make excellent unique gifts or special memorials that you and your family are sure to treasure. 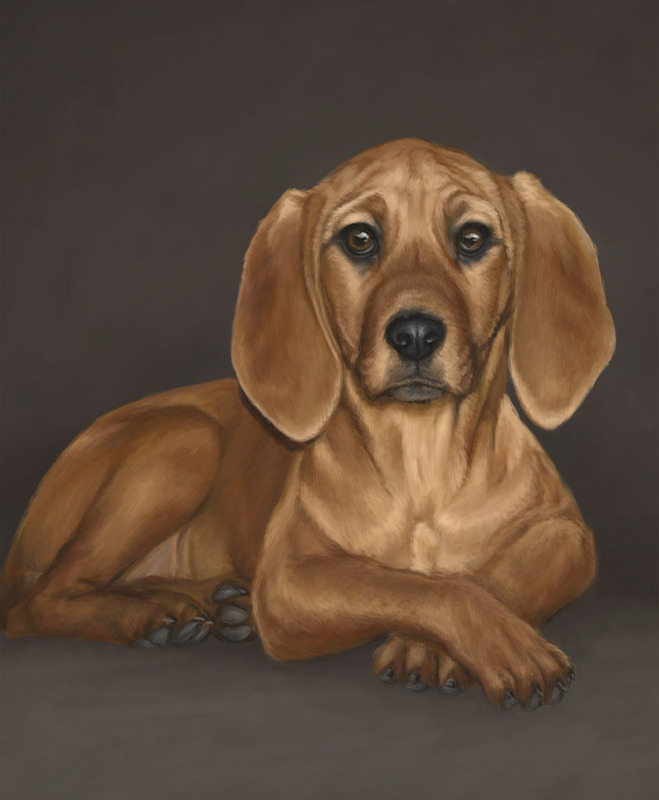 I can paint pets, people, backgrounds, do photo restorations, and combine multiple reference pictures into the perfect custom painting for you. With digital painting, you have the option of printing your portrait any way you want it - in any size on a huge variety of surfaces, from paper to canvas to wood or metal! Ask me about printing options. Pricing varies depending on complexity and number of subjects in the painting, so contact me for a quote!